Korean Canadian cellist, Caroline Kim, is currently a doctoral student at University of Michigan and a member of the Ann Arbor Symphony Orchestra. She is a recent graduate of the Accelerated BM/MM program at the Juilliard School where she was the recipient of the Irene Land Scholarship, the Genevieve Kniese Cahudhuri Cello Scholarship, and the Betty & Daniel Bloomfield Fund Scholarship. Caroline has given performances across the United States and Canada in many acknowledged venues such as Alice Tully Hall and Carnegie Hall. Caroline is also the winner of the graduate concerto competition at University of Michigan 2017. She has given recitals in Calgary, Alberta, New York City, and Aspen, Colorado. 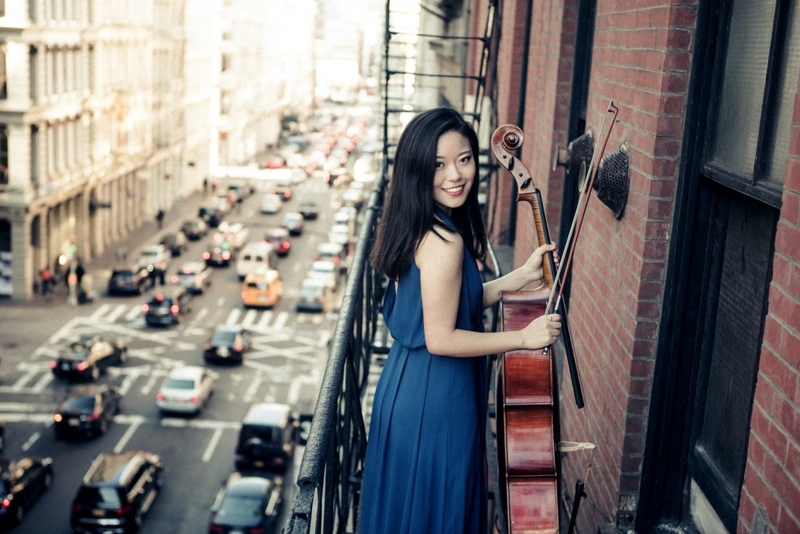 As a student at the Juilliard School, she had been selected as a member of the pool of principal cellists since 2012. During the summers, she attended Music Academy of the West in 2012, and the Aspen Music Festival in 2013, 2014, and 2015. In winter of 2014, she was invited to be the principal cellist of the New York String Orchestra Seminar. This summer, she has been invited back as a faculty member at Center Stage Strings in Michigan and is on the faculty of the University of Michigan String Preparatory Academy in the School of Music, Theatre & Dance. The Alberta Foundation for the Arts has funded grants for Caroline for her music and studies since 2008.